You’re Awake, Good. Now Get Your DNA Template Activated. The time seems to be now for this article, as it has recently come into focus for me that most “awakened” people still aren’t totally clear on the distinction between being awake and having your multidimensional DNA template fully activated. What if this is key for your further unfoldment? This short piece intends to serve a very specific purpose without getting bogged down in tonnes of scientific references, esoterica, and/or hard-to-grasp concepts. You already know that you’re a “multidimensional being,” so now it is time to consider that such a being has a correspondingly multidimensional ener-genetic (energetic and genetic) template! Please don’t make the mistake of assuming that because you have awoken from the dream of maya that you’re therefore utilising anything close to all of your psycho-energetic potential. Put bluntly, you’re not – and if you’re like me, you’ve probably spent years being haunted by the nagging sensation of being disconnected from your full powers and capabilities. If you fit that description then you already know on some level that the awakening process – that precious satori moment – is only the first stage, not the end game! Now that you’re “conscious” you’re ready to get down to the real work of getting your ener-genetic informational systems online and fully operational. For many of you, that means post-kundalini-awakening DNA activations. The kundalini will likely be stimulated again too while you do that activation work, but the point of emphasis needs to be on the DNA – and not just your two bare minimum physical strands with their excessive intron/non-coding content that nature clearly utilises for evolutionary purposes (that is affected too, obviously). Effective DNA activation – using a potent system without distortions – will stimulate introns/”jumping DNA” into beneficent activity in your physical body, but equally importantly, if not more so, it will stimulate the awakening of your higher-dimensional “strands,” thus facilitating the accelerated evolution of your consciousness and connectedness with All That Is. Self-realisation can indeed be a systematic and entirely safe process now – contrary to the various horror stories about spontaneous and uncontrolled kundalini awakenings in the literature. Be patient: getting fully activated is a process. It won’t happen through a mere one DNA activation – that would blow a fuse or two! I have seen people go through some pretty intense detoxes after just one activation which may have only stimulated a few extra strands into action – activating all of them at once could be catastrophic! Now for some essential background to put things in context. A lot of “odd” information has been coming through the “collective consciousness” over the last two or three decades, largely via channelers, but also people working in hypnotic regression and other areas. The crux of it is the recurring theme of a multi-stranded DNA template that include and extend beyond our physical double-helix. The most commonly mentioned one appears to be the 12-stranded template. Consulting with “intelligent space”/aether/source/akashic field, etc., indicates to me thus far that the 12-stranded template is a legitimate piece of information. I always double-check my answers with at least one other form of test too, so I can rest assured that I’m not chasing a red herring. More systematic approaches to documenting the DNA activation timeline are needed, but here are some of those aforementioned images. Below Left: someone with no Regenetics Method activations. Below Middle: Frank’s wife shortly after her second. Below Right: Frank half way into the time frame of the fourth and final activation. Back to the templates: Other books enunciating the 12-strand theme include Hanneke Jennings’ Preparing for Full Consciousness (another channeled work), We Are the Nibiruans by Jelaila Starr, Kryon – The Twelve Layers of DNA by Lee Carroll, and probably a couple of others that escape my present recollection. Obviously this theme has emerged within our consciousness with a purpose/reason. We appear to be remembering more of what we are, and not only that, but awakening to systematic and effective ways of beginning to access that. It isn’t enough just to believe or know that you have a multi-stranded many-dimensional DNA template. Knowing alone isn’t enough to bring it into full activity, and, as previously stated, initial awakening experiences are only the beginning of reclaiming your personal power and sovereignty. 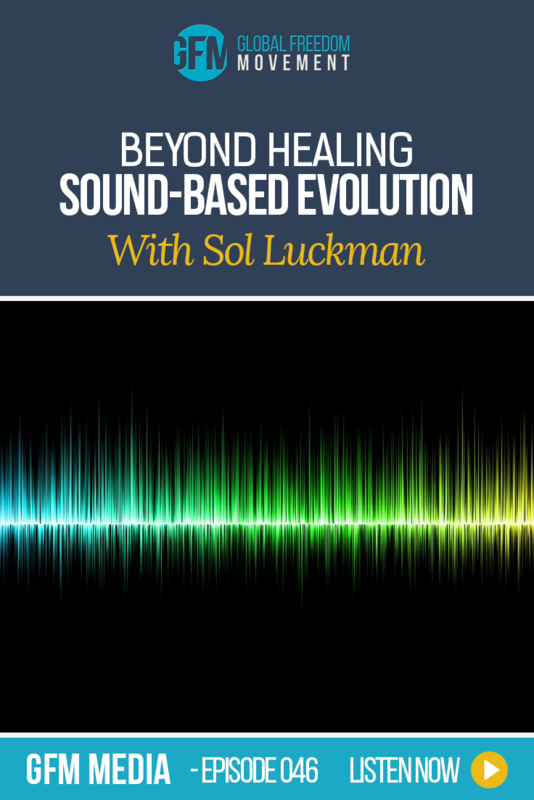 This is clearly serious transformational work, aimed at evolving or “re-membering” individuals with the rest of themselves, reconnecting to parts of ourselves we have forgotten. If you feel like you’re of a service-to-others orientation or you’d like to be even more so, then ponder on the possibility of activating with me. Attention! This “work” (or path) only ever attracts the attention of those who are already awakened(!) Only an “awakened” being can perceive the value of such a system and recognise/sense that there is much more of themselves to be unlocked. In short, now that you’ve had your kundalini awakening, your satori moment, your psychedelic kick start, or what have you, it may be time for you to begin the real work of bringing your whole DNA/”ener-genetic” template into functionality in orientation to service-to-others and the planetary shift that is under way. To further clarify, I “woke up” around 2002-3, but the concept of a multidimensional genetic template/blueprint didn’t enter my awareness until about 5 years ago. Then I realised that being “awakened” doesn’t equate to being fully activated. There’s vital work to be done once we are awakened, which is why I have been working through that process and developing the skills to take others through it as well. Frankly, there is little else I can think of that would be (and IS) as rewarding to me as facilitating the activation of “switched on” people looking to go “next level.” The higher-vibrational, enhanced state of consciousness you thus occupy makes you a living, breathing system-buster dissolving the Matrix with every femtosecond that passes – and that is just way too cool for words, in my humble opinion. You see, “defeating the Matrix” doesn’t mean fighting it and standing in stubborn opposition. Au contraire, the Matrix loves to engage people in duality and bog them in a quagmire at a corresponding level of functionality to it. As Einstein said, you can’t solve a problem with the same consciousness that created it. Thus, our only logical solution to the problem is not overthrowing but overGROWING the Matrix – transcending it, in other words; being the change we want to see. Every one of you that takes up the baton and accelerates your development/awakening process makes it easier for everyone else to do the same work – the 100th monkey effect is real and verifiable (as I document in The Grand Illusion). There you have it. I hope I have done a fair job of distinguishing between “awake” and “activated,” and if you have queries about this subject don’t hesitate to comment below. March 20, 2016 | Filed Under: Consciousness, Healing, Spirituality, What is reality anyway? I’m looking for a facilitator. I have psi abilities that need control. I also know I must use them for humanity. Namaste. Came across this by accident.. or was it?… anyway am wide awake and have been for some time.. Feel Im beating my drum and no-one hears.. The sound of silence is deafening. but am not quite sure What next.. I see so many people, sitting about saying we should do this or do that/… but really WHAT DO WE DO? Who is DOING what? Are we getting anywhere? How can we stop this control over everyone? This poisoning of water air food? This inescapable extinction rate? This voting to vote in another corrupt leader.. Who is leading moralistically? Who can we trust.. Where can I go?